Giveaway Closed. Congratulations to FFC reader, Jessie W.! There is nothing more Christmas in Cincinnati than the Duke Energy Holiday Train collection. Generations of families make this an annual pilgrimage and you’d be hard-pressed to find a native that doesn’t have a fond memory or two from a holiday visit down to the corner of Fourth and Main over the last 65 years. And this year the trains will begin the next chapter in the history of our fine city. With the 2011 Holiday Season, Duke Energy has passed the torch to the Cincinnati Museum Center. 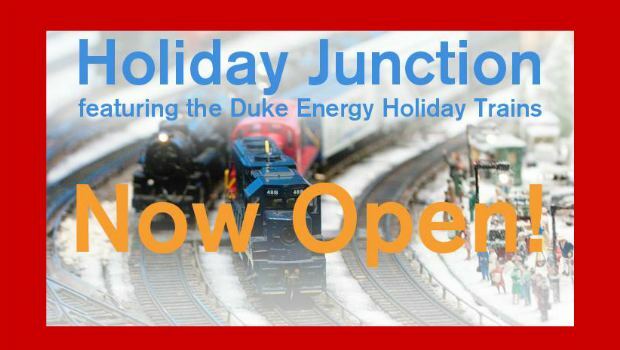 The trains now have a permanent home there as the “Cincinnati Museum Center Holiday Junction Featuring the Duke Energy Holiday Trains”. My husband Douglas was the lucky guest of the fine folks at the Cincinnati Museum Center and got a sneak peek at the trains as well as a private screening of Rocky Mountain Express. He can’t say enough good things about both and was especially pleased to know that this tradition he held so close to his heart was well tended to in its new home. Make plans now to visit the Museum Center and welcome the trains to their new home. Holiday Junction will be running now through January 1st. You can find any and all answers you might have on the FAQ page of the Museum Center’s site. The Museum Center also offers these terrific Itineraries to help families make the most of their Holiday visit. You can check these out online before heading out for your visit – what a lovely way to build up your little train lover’s anticipation! Two train-specific ones: Family Traditions and Train Lovers are sure to please your crew! And if that isn’t enough to get you excited about the trains and their new location – take a look at this AWESOME slideshow from our own Kristin from her recent visit! 1) If you could take a train ride across the country, where would you go? That’s it, it’s that easy. Giveaway will end Wednesday, November 30th at 4pm. Winners will have 24 hours to respond. Please make sure that when you comment you include a valid email address. Winners will also be posted to the FFC Facebook page. A train ride to Alaska! I joined the forum and commented on a discussion about teacher gifts for Christmas. I get your newsletter and I read it! I’d take a train through the Rocky Mountains! 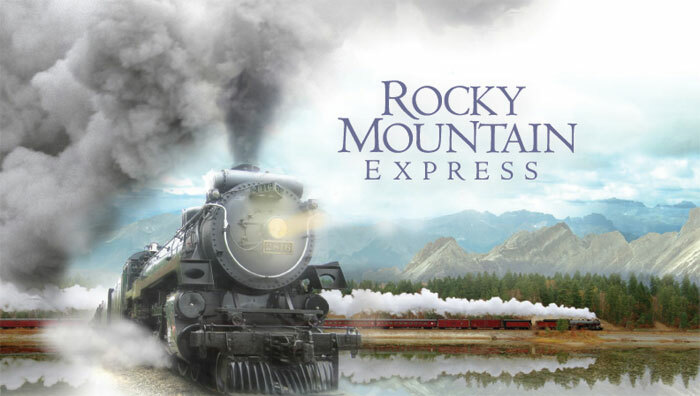 1) If you could take a train ride across the country, where would you go…I’d like to take a train ride to the Rocky Mountains! I’ve joined FFC Facebook page before! 1) If you could take a train ride across the country, where would you go…I’d go to D.C. My family has caught a train from Union Terminal and went to D.C. before by train! Was alot of fun! fog curled round the mountain tops.It would be a dream come true. Left a comment on a discussion in the community forum. I would take a train all the way to the northeast and back. Never been there and this would be a great way to experience it! I would take a train ride to Maine. I joined the community forum and left a comment on a discussion there. If I could go anywhere on a train it would be up the California coast. It would be the perfect mix of gorgeous scenery. I would take a train to Boise, Idaho to visit my brather and his family. I already “like” the FFC Facebook page. I subscribe to FFC’s eNewsletter. I would take a train ride to the mountains of Montana or Colorado. I would love to take a train trip to Chicago. Never been there and have always thought it would be a fun place to visit. I would love to travel out West. I would love to take my kids on a train ride. A few years ago my husband and I road the Southwest Chief from Los Angeles to Chicago then boarded the Cardinal for home in Cincinnati ending our trip at historic Union Terminal. Given the opportunity to take another trip we would like to ride the California Zephyr especially on the scenic route between Denver and Salt Lake City. 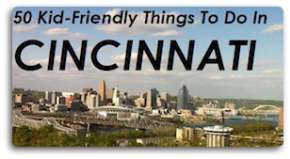 I am a Family Friendly Cincinnati fan on Facebook. I would love to travel from Washington State to California along the entire West Coast. So majestic any time of the year. You betcha my camera would break by the time I get back taking gobs of pics for all to see! I would travel from Cincinnati (depart from Union Terminal of course) and go out west to California. I re-tweeted the post on Twitter. I would take a train ride out West especially Colorado to see the beautiful countryside. From there, I would like to take it to San Francisco and up the coast to Washington state. I ‘liked’ FFC on Facebook!! I would like to ride a train to somewhere in Georgia or South Carolina if possible. Somewhere wanrm enough that I could fish in the winter time. I waqnt to ride a trains in the Alps. It doesn’t matter where I get to travel too on a train, I just want to see the country side and places you can’t see from a car or plane, god created all this beautiful scenery and would love to see as much of it as possible. Also it would be a chance to just spend time with my little family going on an adventure we have never gotten to experience before. Thank You. I would go through Montana, Idaho and Utah on my way to somewhere on the west coast. I’m a fan on facebook and get the newsletter already. Thanks!! Dedinitely Alaska! I already subscribe to your newsletter and facebook! I would love to take a train ride through Alaska. I would love to travel by train to San Diego. I joined the FFC enewsletter, liked on Facebook and would like to go to San Diego! I would love to go to Denver or anywhere in Colorado in the summertime! Thanks. I would travel by train through the Rockies and make the same trip my grandmother did when she would come to visit my family every other year in the summer. I have a lot of family that lives over 2 continents. I would love to be able to visit as many as possible. Take a train from here to Virginia, then to wyoming, and finally ending in Colorado Springs. There I would enjoy being able to see the world from pikes peak. I would love to go to Denver. I’d love to take a train to Washington and from there drive up to Canada and then take a train from Vancouver to Montreal. I’d want to go to Maine! I’d go to the Rocky mountains! I would take a train ride through the Western states and into California. Already receive FCC’s newsletter. Thanks! I would love to go to Seattle!